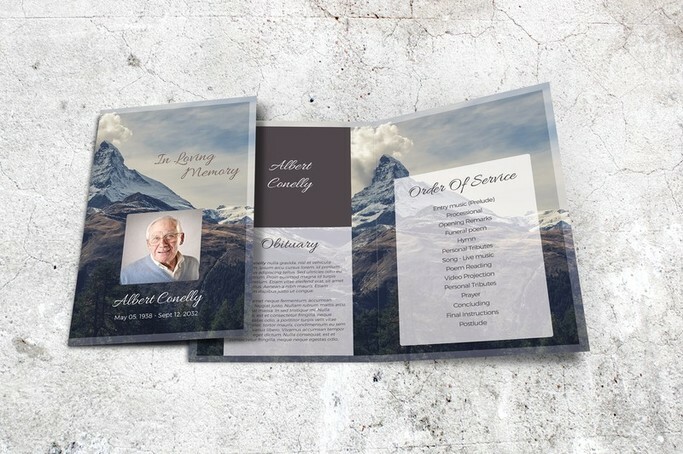 While we know this is a time of sorrow and grief, this is also a time of remembrance. 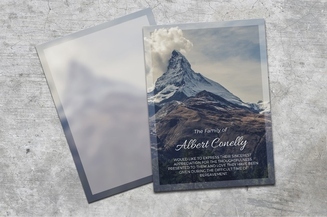 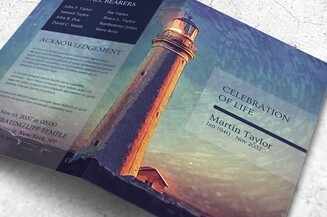 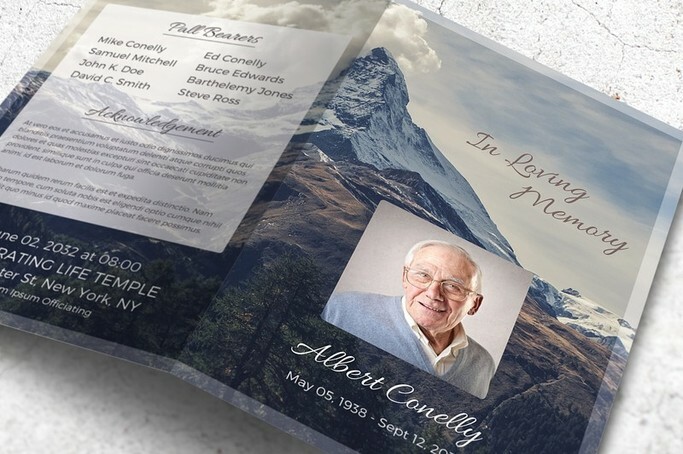 This instant download funeral template features a serene mountain peak theme that signifies their peaceful departure. 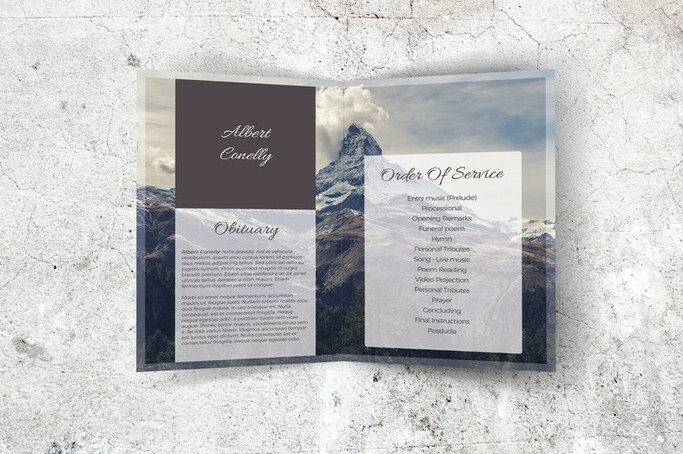 You can customize this document in Microsoft Word with your own text and even add their best photo. 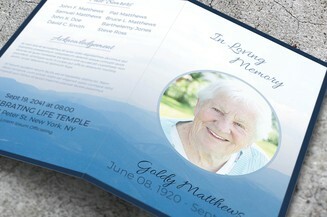 In minutes you can have a beautiful and memorable keepsake that you can give to the guests of the memorial service.